Fishing and outdoor enthusiasts are all about the experience. Whether it’s the first rays of sunlight hitting a stream at dawn or the tug on the line that alerts an angler to a new catch, the small moments enrich the lives of dedicated hobbyists and professionals. Those memories keep a fisher motivated to get back out there and land another fish and form another memory. Retailers are already part of that process, and they should believe that memories created during a trip into a store for fishing supplies will stick with an outdoorsman just as much as the trip out on a boat or hiking up an Alaskan stream. Getting the right gear before a trip can make all the difference for an angler, and when a retailer serves as a trusted partner for adventurous customers, they share in those customers’ fishing successes. Products designed for outdoor enthusiasts are nothing new to many home improvement retailers. The same independent drive and spirit to take on home improvement projects with their own hands is likely found in fishers looking to pull their own dinner out of a lake. However, there is more to catering to the fishing community than stocking a few rods among the camping gear and portable grills. 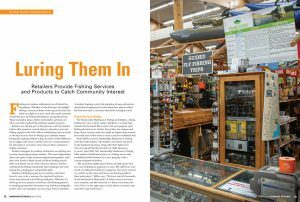 Hardware Retailing spoke to two retailers who have found a way to be a resource for standard hardware items and advocates for fishing hobbyists. Whether it’s offering the best product selection, distributing permits or hooking prospective adventurers up with knowledgeable guides, there are multiple ways to snag a fisher’s attention. A retailer hoping to catch the attention of area enthusiasts should have employees on staff who know where to find the fish and what a customer should be looking to catch. 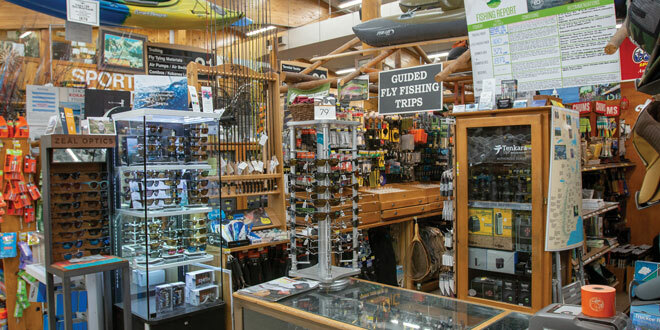 For Trustworthy Hardware & Fishing in Soldotna, Alaska, fishing isn’t just a niche market. Soldotna is a major hub situated on the Kenai River and is the most popular sport fishing destination in Alaska. Every July, the sockeye and king salmon season comes to a peak as anglers from around the world rush to the town to catch a once-in-a-lifetime fish. Scott Miller co-owns Trustworthy Hardware & Fishing with his brother Brian. The brothers have been involved in the hardware business along with their father ever since he opened the first location in 1986. 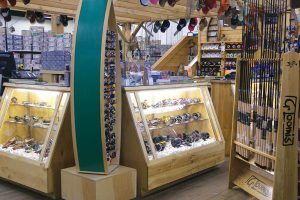 However, it wasn’t until 2007 that Trustworthy Hardware & Fishing fully embraced Soldotna’s place as a fishing mecca and reestablished the business on a new property with a custom-designed salesfloor. 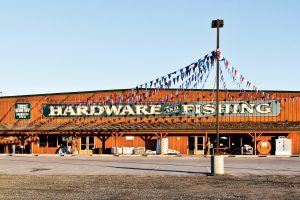 Trustworthy Hardware & Fishing’s location means it can serve a dedicated fishing scene. In Truckee, California, Mountain Hardware & Sports serves various tourist hubs known for their outdoor offerings. The business has three locations, with the Truckee store supporting a healthy tourist community that welcomes visitors looking to enjoy the mountains or take a cruise on nearby Lake Tahoe. The business was founded in 1977 as a general store providing whatever the community needed, says vice president Heather Svahn. 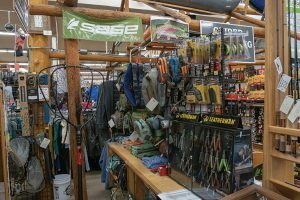 That mission has grown to encompass a number of hardware and outdoors categories over the years, including a fishing department dedicated to supplying anglers in the Sierra Nevada mountain range. Mountain Hardware & Sports and Trustworthy Hardware & Fishing have researched their fishing markets to feature products and knowledge that are useful for experienced anglers seeking a prize-winning catch as well as novice adventurers out for a fun afternoon. This attention to the surrounding area is key for a retailer hoping to attract a strong fishing following, Miller says. Trustworthy Hardware & Fishing in Soldotna, Alaska, supplies an international cast of anglers each summer as the salmon season opens on the nearby Kenai River. The business also sponsors an ice fishing competition in the winter. Whether customers come into a fishing destination store looking for the latest battery-powered drill or a local fly designed to attract an Alaskan salmon isn’t normally under a retailer’s control. 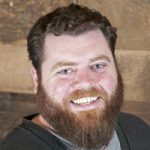 Convincing that customer to come back for another visit can be heavily credited to what a retailer offers in addition to the products the customer buys on their way to cast a line. Services retailers can offer that attract members of the fishing community include issuing licenses and permits on-site, offering free line unwinding and winding with a rod wrapping machine, repair services and connections with area guides and tours. On top of the on-site services, developing strong supply lines and planning ahead for common needs during strong fishing seasons can be great assets, Miller says. Trustworthy Hardware & Fishing has built relationships with manufacturers that allow it to order products at prices that encourage anglers to buy their supplies once they are in town rather than before they make their trip to Alaska. This includes manufacturers of fishing accessories from national brands as well as local producers around Soldotna. Some of these unique products include locally designed flies from an area manufacturer that have been proven to attract the most sought-after fish in Alaskan waters. Trustworthy Hardware & Fishing also purchases bulk lead that is then converted by a local manufacturer into custom weights. These weights allow anglers to have an advantage in areas around Soldotna, as the weights help fishers reach optimal depths for the Kenai River. Mountain Hardware & Sports, in Truckee, California, serves fishing enthusiasts in the Sierra Nevada mountains. Both Mountain Hardware & Sports and Trustworthy Hardware & Fishing issue permits at their locations, allowing anglers to not only stock up on supplies but gain licenses for the multiple fisheries, locations and types of fishing allowed in their areas. “We’re lucky that California has completed a changeover to an online system for selling fishing permits, but no matter your system, the people issuing the licenses need to be the same people who can offer the best advice on what a customer needs and where they should head for the type of fishing they want to try,” Svahn says. 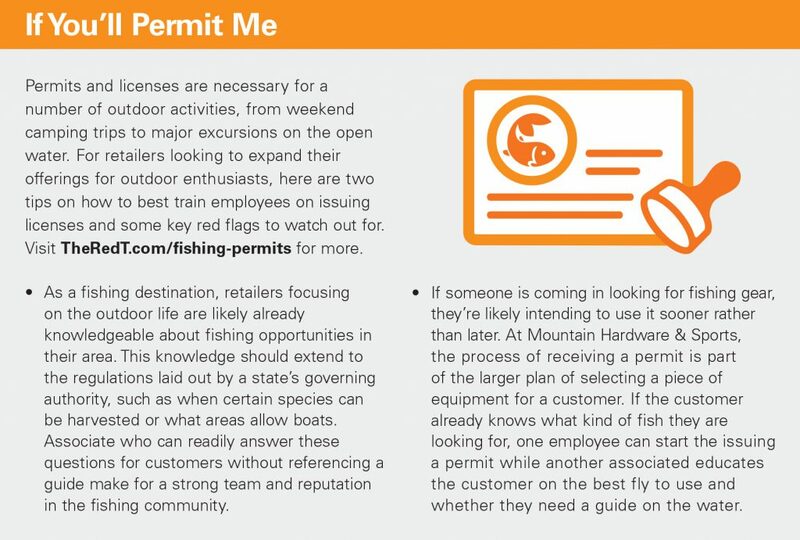 Up-to-date knowledge of a state’s rules and regulations surrounding permits is also crucial to enhance customer satisfaction and build a reputation as a resource for anglers of any experience level, Miller says. Trustworthy Hardware & Fishing has multiple staffers trained on issuing permits, which during peak season can be a full-time task. The operation also has two employees who are familiar with the most current regulations in order to answer customer questions quickly and correctly. While demonstrating staff knowledge and offering up-to-date information on allowable catches and when a season will open and close are excellent services a retailer can offer, sometimes having connections outside a business is the real key to becoming an integral part of the fishing community. Trustworthy Hardware & Fishing and Mountain Hardware & Sports have developed strong relationships with area guides and charter companies that are available to offer their expertise on specific fishing seasons and styles. For Mountain Hardware & Sports, the sheer diversity of the natural landscape means there are several options for visitors depending on whether they’re looking to fly-fish a mountain stream or troll a deep lake. By maintaining relationships with multiple guides and having employees who can speak professionally about local fishing opportunities, the business is able to assist customers in a unique way. “We know our area experts well, and we can recommend a guide who is great with families looking to enjoy a fishing trip with their kids as well as a guide who can handle an experienced angler,” Svahn says. Retailers testing the waters of the fishing category can stay afloat knowing that dedicated fishers are often enthusiastic in their support for the sport as well as the gear involved. A strong reputation and the knowledge to back it up can be a great niche for hardware stores in the right areas. With the proper research for what local fisheries are looking for in products and services, retailers can become major players in the outdoor category.